Dawn McVey has created a beautiful tribute to faith & the true meaning of Christmas with her latest set, Star of Wonder. It features three circular silhouette scenes that are clean and simple, making them adaptable to a variety of different styles. The sentiments are truly heartfelt and poignant, giving you the ability to express your faith in meaningful and stylish manner. Star of Wonder will be available for sale on October 15th. The three circular silhouette scenes coordinate with our Limitless Layers 1.75" Circle dies. Tiffany Pastor designed a wonderful build-your-own-nativity collection that pairs versatility with possibilities. You will love having the ability to make your projects as complex or as simple as you like, using the various pieces together or separately! Nativity Silhouettes & Nativity Silhouettes Additions will be available for sale on October 15th. 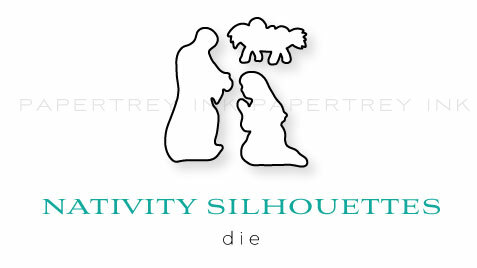 Nativity Silhouettes will retail for $24 and Nativity Silhouettes Additions for $15. The stable measures 2-3/4" wide and 3" tall. Joseph measures 1-5/8" x 3/4". The large palm tree duo measures 1-3/4" x 2-1/8". The single wise man measures 1-3/4" x 3/4". A coordinating die will be available for sale separately for $4. It will cut out shapes to coordinate with Mary, Joseph and the baby Jesus in the manger. Now that all the formal introductions have been made, lets get onto a few of the fun projects I have in store for you! 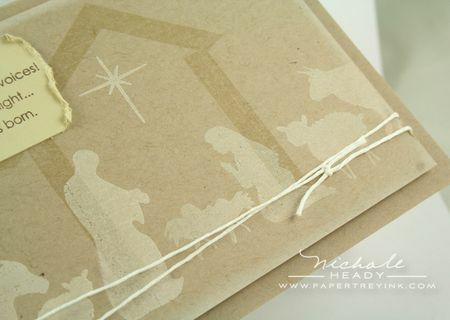 My first project pairs the new Nativity Silhouettes with the beautiful Leaf Sprig from Faith & Hope. 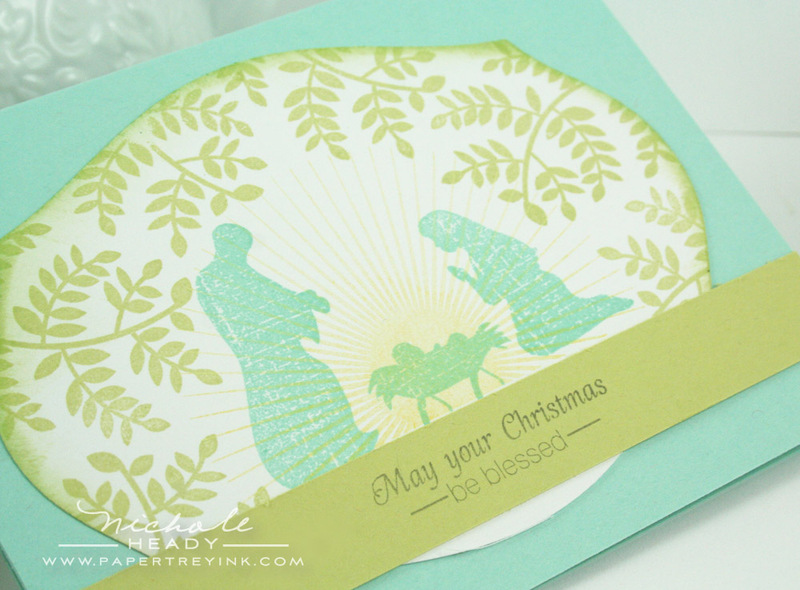 I stamped Mary, Joseph & baby Jesus in the center of a die-cut Mega Mat Stack 1 layer using Aqua Mist ink. I then stamped the leaf sprig with Spring Moss ink around the edge of the mat. I layered the sunburst image over the top of everything with Lemon Tart ink. I attached a strip of Spring Moss cardstock to the bottom of the mat which is stamped with a sentiment from Star of Wonder with Smokey Shadow ink. Overall, a super simple card that would be very easy to mass-produce. Now for a card that is a bit more rich and opulent. I die-cut Mat Stack 3 from Scarlet Jewel cardstock and cut it a second time with the standard 1.75" circle die. I matted it with the Layerz Mat Stack 3 die using Vintage Cream cardstock, stamping one of the Star of Wonder images with Scarlet Jewel ink. I heat embossed the sentiment (also from Star of Wonder) with Gold Filigree Embossing Powder. I love the way the detail pops. I stamped Mehndi Medallion on the Ripe Avocado background using Ripe Avocado ink. I drew a border around the edge of the mat using a gold paint pen and ruler. I also added a few gold accent dots. All of this was adhered to a Scarlet Jewel card base. Now for something a bit more bold and bright using one of my favorite color schemes, Simply Chartreuse, Hawaiian Shores, Aqua Mist and Blueberry Sky. I die-cut a Simply Chartreuse circle and a Aqua Mist pinked edge circle using the Limitless Layers 1.75" Circle dies. I heat embossed the Silent Night sentiment (from Star of Wonder) with White Filigree Embossing Powder. Strips of Simply chartreuse, Hawaiian Shores and Aqua Mist cardstock are attached along the bottom of the Blueberry Sky card base. This project shows how you can can change up the circular shape of the silhouette scenes from Star of Wonder by lining up the images under square windows. The Take Three die provided the perfect layout for this. I die-cut Fine Linen cardstock with the Take Three die and layered Ripe Avocado cardstock underneath. I stamped all three of the silhouette images with Ripe Avocado ink onto a separate piece of Ripe Avocado cardstock. I then punched out the center of each image with a 1-3/8" square punch and layered them under the frame. The sentiment from Star of Wonder was added with True Black ink at the corner of the Fine Linen layer. Everything was adhered to an Ocean Tides card base. I thought I would go a bit rustic with my next project. I took a block of Kraft cardstock and stamped the stable from Nativity Silhouettes with Haystack Palette ink. I then added the various silhouettes with Vintage Cream ink. the sentiment was added on a strip of Fine Linen cardstock with Dark Chocolate ink. I wrapped a bit of twine around the bottom portion of the mat. For my last project I wanted to use a slightly unconventional color scheme. 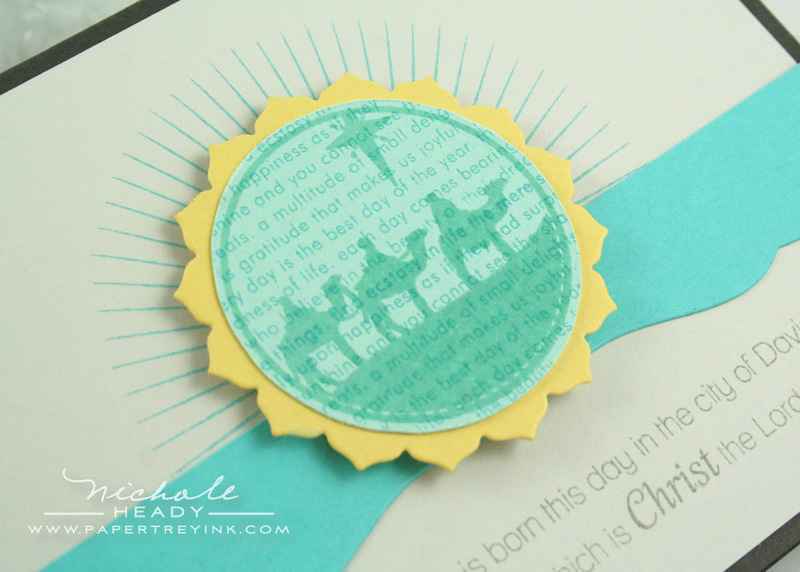 I stamped Background Basics: Text Style II with Hawaiian Shores ink onto Aqua Mist cardstock. I then stamped the silhouette scene with VersaMark ink. I heat embossed it with Clear Filigree Embossing Powder. I matted this to a decorative layer cut from Harvest Gold cardstock using the Limitless Layers 1.75" Circle die collection. I adhered a Hawaiian Sores strip that was trimmed with an Edgers #1 die. I stamped the sunburst image behind everything with Hawaiian Shores ink. I stamped the sentiment (from Star of Wonder) with Smokey Shadow ink directly onto the Soft Stone card front. I hope you have enjoyed all of the projects I have prepared for you today! As you can see, these new products are as beautiful as they are inspirational! We would love to hear your initial thoughts on all that was introduced today! Is there anything in particular that has caught your eye? You could have a chance to win an amazing prize package just for taking the time to share your thoughts with us! You have until 7am, Thursday, October 13th to leave your comment and be eligible to win. Only one comment per person please. One randomly selected winner will be announced by noon the same day on our October 2011 Release Winners page. Thank you for stopping by today and best of luck with the contest! Lisa Johnson is showcasing Nativity Silhouettes & Additions and Star of Wonder. Heather Nichols has a few things to share with her sets, Tag-its #9 & Winterberry. Dawn McVey is sharing projects using her new sets, Christmas Poinsettia & Star of Wonder. Tiffany Pastor is highlighting her new sets, Nativity Silhouettes & Additions. Beth Silaika has some things showcasing her set, Faith & Hope. Melissa Bickford is sharing projects using her latest Flower Fusion set. Maile Belles is sharing more creations using her new Wine Bottle Tag die. FINISHED SIZE: 4-1/4" x 6-1/4"
This is my 2nd comment. Not sure if the first one went through. 🙁 Anyway, I’m very excited about these sets! I love each one! Thanks, Nichole! The cards are just awesomely amazing! Love how you did all the cards and the color choices. these stamps and sample cards are so inspiring. Love them all! What great sets these are!! I love that there are sets that showcase the true meaning of Christmas!! Gorgeous samples as always!! Love all the card samples. Very beautiful. These new sets really capture the true meaning of Christmas! I can’t wait until the full release. Wow, these are really beautiful cards. Awesome new sets. I’ve always wanted a nativity set and this set is perfect. I love the sentiment from the carol “O Holy Night” – my favorite line from all the carols. These are such lovely designs! Absolutely breathtaking. If I happen to be the lucky winner, the whole prize package will go to my dear daughter-in-law who will truly cherish all of the faith filled images and sentiments. Both of these sets are just wonderful. Love the Star of Wonder images behind the Take Three die cut. Perfect! Beautiful! I love the silhouettes and the sentiments! Wow. These are amazing. Really stunning and I love how they all work together. The cards you have created with these sets are absolutely stunning! I love the easy, elegant look they convey. Truly beautiful! wow- what an amazing peek! this looks like an awesome set! Your projects are so stunning, Nichole! I think the one with Scarlet Jewel and Mehndi Medallion is my favorite, but I love them all. YES finally the TRUE meaning of christmas (as i see it) put on a christmas card!!! thank you for doing this Papertrey ink!!! and thanks for a fun giveaway!!! Both stamp sets are beautiful reminders of what the season truly is about. Using the Take Three die with the images was pure genius! Beautiful stamps that capture true meaning of the Christmas season. I am loving these beautiful faith-based stamp sets. And the dies make it all so much easier 🙂 Thanks! Amazing! Love this set – a MUST have for the holiday season. And dies too! So awesome. TFS. These are all so beautiful. And matching dies! So many possibilities. I have been wanting a nice nativity set and I think this will really do nicely. Oh, thank you so much for two AMAZING nativity sets!! I love them both! These are beautifully designed sets! Love all the dt work! OMG these sets are wonderful! I’ve been waiting for a set focused on the nativity. You don’t disappoint!! Beautiful. Love the use of non-traditional color schemes! Dawn’s silhouettes truly capture the meaning of Christmas in a simple and classic design. Well done. beautiful! love all the cards! Such pretty sets! Really enjoyed visiting all the girls blogs today… so inspiring! The Silhouette set is just what I’ve been looking for, for years! Just beautiful! Gorgeous sets!!! And amazing cards again, Nichole! Oh, I’m always enjoying this time of the month sooo much!! Before I start my work, I always HAVE to take a look ath the new introductions for that day, hi hi! These are gorgeous, love the star lines!! That really gives all attention to what you put in the centre! It’s so beautiful! 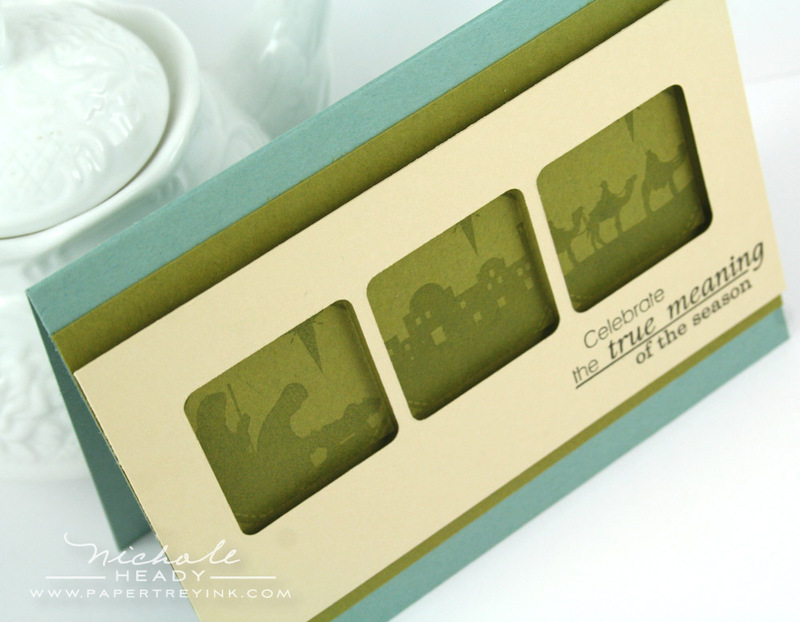 The Nativity stamps sets and die are wonderful and very traditional for Christmas…love ’em! The cards are so beautiful! Another great set! Wow such beautiful sets! Can’t wait to get started on my Christmas cards using them! I haven’t made or sent Christmas cards for a few years but all of these things would be just the inspiration I’d need to make some this year. Beautiful elements!! Absolutely beautiful. Love the distressed silhouettes for the nativity. A beautiful set! A really lovely set celebrating the the birth of Christ. Stunning simple silhouettes. 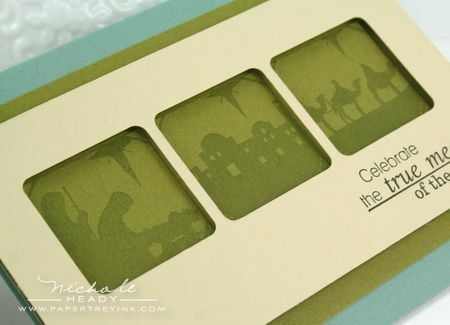 The Nativity Silhouettes set is my absolute favorite! It’s #1 on my list. I love all of the projects you’ve shown today! The Nativity set is stunning and the sentiments are wonderful. These sets are lovely, Nichole. I love your scarlet and Avocado card with the mat stack layers—really classy! I love the faith-based set. Thank you for bringing them to us. AMAZING Christmas stamps! THIS is what Christmas is truly all about! Fabulous sets with a plethora of possibilities! Always a treat to see what’s new. All three sets are beautiful and will allow us to make some great Christmas cards celebrating the the true meaning of Christmas. Your cards are all fabulous. What a beautiful set. Love the card with all the windows cut out, so peaceful and serene. Love the modern style of these very traditionally-themed stamps. Your cards are stunning! These sets are beautiful and I love the sentiment choices. I think I have changed my Christmas card design yet again! I love both sets -especially the sentiments that go with them in an elegant font. I have so many ideas about how to use the sets different ways for my Christmas cards. Perfect Christmas sets!!! Its hard for me not to overbuy Christmas papercrafting supplies because there are so many fun options; however, these sets demonstrate the true meaning. I LOVE them! Thanks so much! I love the sentiments with these sets. Can’t wait to see the full release in a few days. These faith based sets are simply beautiful. Thanks for these wonderful additions. I LOVE the card samples! WOW these sets & dies are amazing! Your projects are just beautiful. 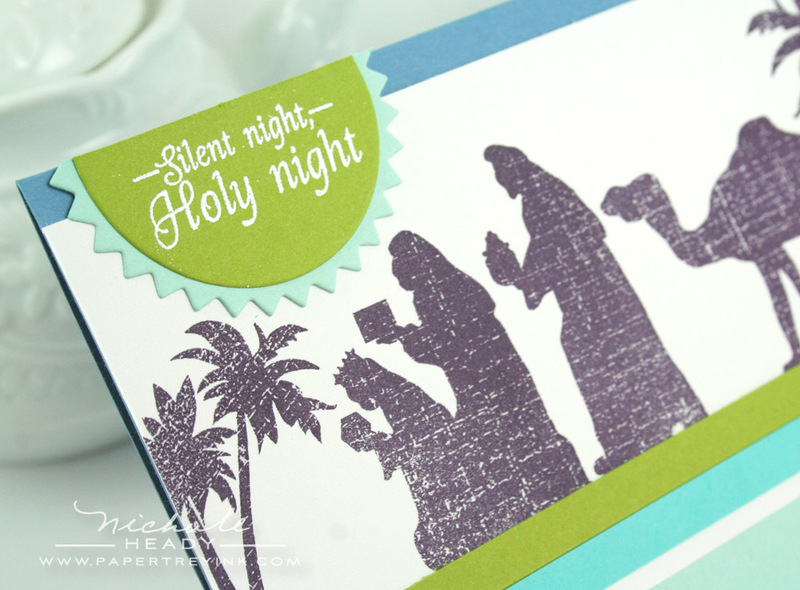 My favorite is the Silent Night card – the colors and the image, even the way the sentiment is tucked in the corner – all of the elements combine to create such a happy card. I also like the use of the Mat Stack 3 and the mendhi background; everything works together so nicely. Thanks for sharing such lovely works of art that show the true meaning of the holiday. I’d love to win today!! These sets are so lovely! I especially love the card you made with the take 3 die, so simple, but so striking. These are the most beautiful “holy” (Is that the correct term???) stamps I have ever seen! The projects used to showcase the stamps are breath-taking. Just lovely. Oh my! I knew I was waiting to design my Christmas cards for a reason. Wow, just spectacular and LOL~, just what I asked for last month. PTI hit this one out of the park. Oh, my–they are all so lovely. I LOVE the quotes from carols–what a great idea! I love the simplistic beauty of today’s post. Thank you for creating faith based sets! Sigh. Your projects are so beautiful. This set is SO beautiful. What a way to showcase the true meaning of Christmas. I love the nativity set and dies!! With the sneak peaks I didn’t think I’d be interested, but WOW…as always, I’m blown away! Love the versatility of these sets! This is a beautiful set….a traditional set. I’ve been looking for one like this. What beautiful sets and cards. I love them all. Wow, wow and wow!!! Love the Nativity Silhouettes. Absolutely gorgeous. You always listen to us! This is the true meaning of Christmas and I’m so happy with this group of stamps and dies. Beautiful cards thanks so much! Loads of Christmas goodness here! I love all the samples that you and the DT have created with these sets! So many possiblilities! This has got to be the best release ever! Just beautiful, all of it! I really like the distressed look of the nativity images, and also the use of the lyrics from Christmas songs in the sentiments. I am so excited for this group of images. They are going to make Christmas cards that truly represent the spirit of the holiday. Thank You! I particularly love the sentiments in the Star of Wonder set. Some of the most evocative and beautiful words of the Christmas season. Super job! WOW, Glory be to God card is stunning!!! 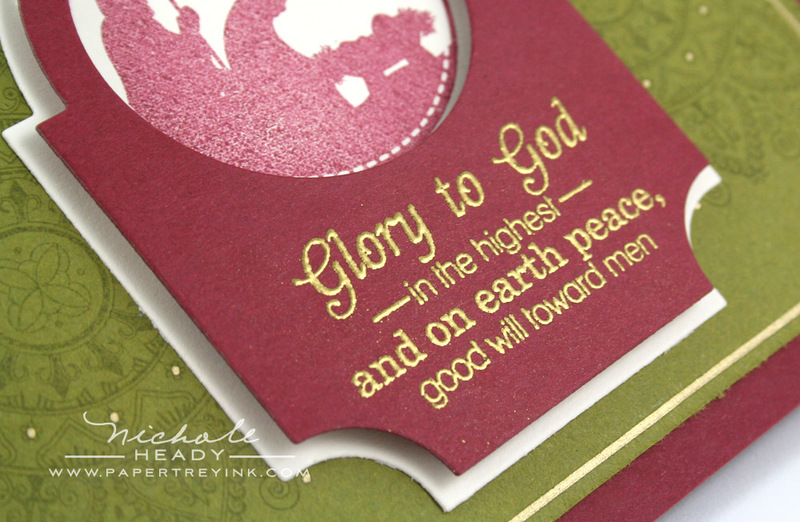 The rich colors and the gold embossing are a gorgeous combination. Great job on these, very fitting for this holiday season. We often forget the true meaning of the season. Thank you for making a stamp set that reminds us. Just lovely! Finally stamp sets that capture the true meaning of CHRISTmas. Thank you for all the beautiful projects today. What a fabulous couple of sets and so versatile I love them. Absolutely stunning!!! These are beautiful cards and images! Love them!!!!! OhMy! I’ve never seen stamp sets quite like this. So excited for the final release!! Lovely Cards . The silhouettes are perfect for meaningful cards, yet easy for card making. – No detailed coloring! It’s nice to see some religious sets for Christmas. These are very nicely done. And your examples are absolutely beautiful as well. Absolutely beautiful sets with so many possibilities and once again absolutely beautiful cards. PTI has done it again! These are all so beautiful, but the kraft one is my fave! The Nativity Set is wonderful. Love it used with the Take 3 die. What a great new set, a nice addition to the rest of my Christmas stamps! Wow!! The sets today are amazing…just what I have been looking for to use for my Christmas cards..thank you!! Thank you so much for these Christian sets! I am thrilled to be able to make Christmas cards that focus on the true meaning of Christmas! Your examples are beautiful! So glad you came out with this type of stamp set … so often we forget the “true meaning of Christmas.” The cards are amazing! Beautiful! Every stamp set is just beautiful. 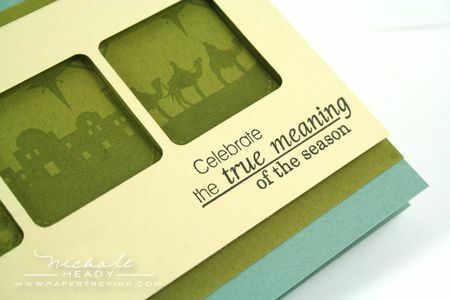 I am loving the stamp sets and dies on this release that celebrate the reason that I LOVE this season so much! Thanks PTI for making my Christmas crafting so merry! Love the silhouettes!!!!!! Especially like the rustic card you made! The cards are beautiful! I love the new stamps sets that tell the true meaning of Christmas!!! I really appreciated the Christ-focused stamps as I like to send cards that focus on the reason for the day. I have never been one to buy faith based stamps because I never seem to use them. However, these new sets are absolutely beautiful. These may be the first faith based stamps that I add to my collection. Thanks for the wonderful projects. WOW, beautiful projects! I love what I’ve seen of these stamp sets. Gorgeous projects today. Thank you for designing modern and classy-looking stamp sets that remind us of the TRUE meaning of Christmas. Well done! your card samples for the new sets and dies are just fabulous! can’t wait until release day! Truly inspirational! These cards really portray the meaning of the season. Beautiful details in these sets! I love all the non traditional colors you used in your samples Nicole! Your cards are beautiful. I love the Scarlet Jewel and Ripe Avocado card using the Star of Wonder set. I can’t wait to add this to my cart. 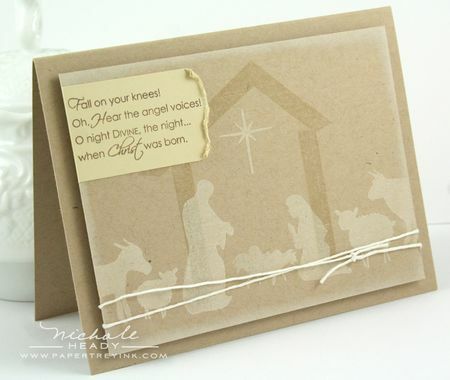 Love the kraft card with the rustic feel…perfect for the manger scene. Love all of these sets getting back to the true meaning of the season. And, putting the round scenes in the square holes – genius! Thanks for sharing. LOVE the religious sets! Stunning cards, Nichole! What fabulous inspiration! Today’s images are wonderful! I love all the cards you made with them. Such beautiful cards today! 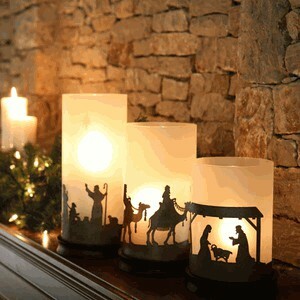 Nativity Silhouettes is at the very top of my “must have” list! What beautiful cards! I love how the nativity stamps work so well with cut outs/frames, like you’re just getting a glimpse of the scene. My favorites are the triptych card and the Kraft card. The sets are so beautiful and striking, cant wait to create ! I absolutely love both of these stamp sets. It saddens me to see Christ taken out of Christmas and I am glad for some stamp sets that will enable me make Christ centered Christmas cards… I really love the all of your cards, but the one done with the Take Three die is wonderful..now of course, I have to add the Take Three die to my list of things that I need this month…yikes it keeps growing. Great release. These are wonderful! I love how they look! Definately going on my wish list! what a beautiful set! well done pti team! What a beautiful set and gorgeous projects! Thanks for the inspiration! Thanks for having these products showing the true meaning of Christmas. I am so excited to be able to build a nativity scene on my cards! Your cards are so gorgeous, and I will definitely have to case them all! Lovely stamp sets. A very modern twist for faith based stamps. Lovely sets and projects. I love the project that used the Take 3 die with circular images! Really a great idea that I hope to use in the future with other circular sets! I could use some good sets for the nativity. Thanks for the chance to win. Unbelieveable! I think I let out a gasp more than once! To have stamps that truly speak of the Reason for the Season is PRICELESS! Thank you Nichole & the amazing Design Team! All the images are so beautiful…it’s so hard to choose what I like best! I cannot believe all the beautifulness in today’s projects. I am amazed! These are stunningly beautiful cards. I just love them. Thank you!!! I wanted a Christian set for Christmas so much, and now I’ve got three such sets coming up! I love all of the tree sets. I’m especially thankful that you didn’t forget the camels and palmtrees! I would be all over the Nativity Silhouettes if it were not distressed. If it’s not a solid then it shouldn’t be called a silhouette. Otherwise I would definitely buy and use this set. But as it is I’m afraid my recipients would think I just don’t know how to properly ink up a stamp. Beautiful rustic when Christ was born!!!! Love that we finally have some great sets that recognize the true meaning of Christmas. Beautiful! I love all the gorgeous projects! Your cards literally took my breath away! STUNNING. I love silhouette stamp sets!! I think I’ll use the Star of Wonder set to make tags this year. Oh my, it really never stops. The beauty of those stamps and the dies are super. Lovely cards. You have outdone yourself. Thank you for doing such a beautiful job designing a set that so elegantly portrays the true meaning of Christmas! I love love LOVE the Star of Wonder set. I can see myself using that time and time again! Can’t wait! Wow, loving these faith-based sets. It will be a happy addition to my Christmas crafting!!!!!!! omgOODNESS!!! such wonderful sets today!!! they are just beautiful!!!! I really love these stamps and as usual, you’ve created some beautiful cards. These are the best. How perfect for years to come. I love these stamps. They feel so peaceful to me. Thanks for an opportunity to win. I have been waiting for a Nativity stamp set from PTI! I even asked for it once by email. This is a great set showing the true meaning of Christmas! Very beautiful and definitely the reason for the season. Thanks. The stamp sets are very beautiful and your cards are as well. Thank you for the chance to win these wonderful products! Must. Have. All of it. I really love these new sets! Now suddenly I need that Take Three die to use with my tag sets too. So clever! What a beautiful nativity scene! I absolutely LOVE it! Can’t wait to see the full release but I already know that I really love the sentiments included. A bit of an echo- glad to see REAL Christmas stamps! Beautiful cards!!! Makes me rethink that I don’t need anymore Christmas stamps!!!! I love the sets you are showcasing. Our lives have have become easier with your dies. I am thrilled that PTI is offering beautiful religious stamps for Christmas. They are elegant and are truly “the reason for the season”. Thank you! Beautiful cards today. Love the different ways you’ve used the stamps. I really like this beautiful natvity set. So many uses for Christmas and other religious occasions. What a wonderful idea for a stamp set and dies. Love the Nativity Silhouttes. So many different ideas for cards and tags. PTI’s designers have truly captured the real meaning of Christmas with these beautiful sets. The cards are stunning. Can’t wait to be able to use these sets. OH GOODNESS ME! This is JUST what I had been wishing for I love Silhouettes stamps & Christmas putting then together is amazing! I am in complete awe. your samples are beautiful and creative as always. what a beautiful set that could be used for so much more than cards. those images are just perfect. Love all the projects today. these projects & stamp sets are truly inspiring. thanks. Loving these faith based sets! I love that these Christmas sets capture the ‘real reason of the season’. All of the cards are beautifully done, but the glory be to God card really caught my eye. I am loving that gold on the scarlet jewel. Might have to case it! Thanks, Nichole! I’m a sucker for silhouette stamps. You nailed this. Absolutely love these stamps and dies. The samples are beautiful using the non traditional colors! These are all awesome! I love the way you used your Mehndi Medallion stamp, and the rich colors of that card. I’m happy too, to see stamps that have the true meaning of Christmas on them. Thanks! Such beautiful silhouettes – love that she designed left and right facing animals too. So much to be thankful for this release and these sets are at the top of the list. Thanks! I love nativity themed cards. This set looks awesome and one that i’m going to have to get along with the dies. I don’t believe in Nativity scenes,etc., but I do like the designs of your cards. Two wonderful stamp sets! I love your project using the Take Three die. The sentiment used on that card is reason enough for me to buy Star of Wonder. I love all of these stamp sets and die! Truly simple and beautiful! I love all the projects – they really highlight this release!! I am constantly amazed at the pitch perfect design sensibility of PTI. You manage to create products that are timeless without being boring or hokey, modern without being so trendy that they don’t have longevity, and overall very classy. Great job. WOW! What an amazing set and such beautiful cards. I love that we will now have a set celebrating the true meaning of Christmas to me. Can’t wait to see more. Did you hear that? That was the sound of my jaw hitting the floor! These projects are all so amazing; I can’t decide which is more beautiful! Such beautiful cards that give the true reason for celebrating Christmas. Love the faith based stamps! Your cards are always soooo beautiful! Thank you for these faith based sets. The designs you created are varied and so gorgeous. Can’t wait to get them to make my Christmas cards. I love these beautiful images! Thank you so much for adding a Nativity set to the all-star PTI lineup! wow. wow. I must have them. these new stamps and die must be as soon as possible in my stash. Are so gorgeous. Thanks. OMGoodness, Nichole, your Glory Be To God card is just so fabulous – love it!! You are truly making it so difficult (pleasantly) to choose what sets I will be ordering and still stay in within a reasonable budget. I have been waiting for these sets! It will be so nice to have some faith-based Christmas themed sets added to my collection. I just love these nativity images, and how well they will coordinate with other sets this month. What an amazing release! Beautiful stamps and beautiful samples! Thanks for offering the great prize! but also for easter and other occassions. Truly, truly beautiful, peaceful and inspiring. It would be amazing to send OR receiving such beautiful cards. The nativity set is so beautiful. I’d love to add this to my Christmas stamps. What a beautiful set! As always your cards are stunning. Have looked for Nativity stamp sets, but never really found what I wanted. Looks like my hunt is over!!! Just wonderful. And all the examples are stunning. Thanks to all!! Beautiful sets that really highlight the true meaning of Christmas. Gorgeous samples. to work with! And DIES too! I fell in love with the Star of Wonder set on Dawn’s blog this week. Can’t wait to get started on Christmas cards! These are **wonderful** I love the nativity die set. I always send faith based Christmas cards and I can’t wait to see the big reveal for these sets because I think they will be the perfect answer for my cards this year!! Thank you for always being on target with your creations and your products!!! Such a perfect “real Christmas Spirit” set…gorgeous!! Very inspiring. Thank you so much for these! The Nativity and Star of Wonder sets definately signify what Christmas is all about … just beautiful! The Christmas Blessings card with each figure cut from a different paper is my favorite. Many great ideas! Thanks for sharing your creativity. Dawn’s Star of wonder set is just beautiful. I plan on making some gorgeous ornaments using it. Beautiful cards,and I love the nativity set,simple yet faith based . These sets will make beautiful projects! I like them all and predict that they will become classics for many stampers. WOW!!! What can I say? WOW!!! A prayed has been answered. What an AWESOME set of stamps and dies. I won’t be able to stop making Christmas cards long after the holidays are over…What creativity from this team. Thanks and may God truly bless each of you for keeping the “True Meaning of Christmas” in your heart and allowing “Him” to use you to bless us! Beautiful die and stamp set. The cards created with these products are lovely as well. I am blown away by this beautiful Nativity Set, thanks PTI for such a gorgeous way to share one’s faith. Wow, what a gorgeous set! Love it! Go PTI, love that their is faith based sets! P.S. Loving the color combo on the 1st card!! Thank you for creating the most meaningful stamp sets I have ever seen. I love that these silhouettes are not cutesy and cartoon-ish. You have shown in all your excellent examples that these can be elegant, classic or simple. this is by far my favorite! so cute!! i love the possibilities! Gorgeous! And something not already in my stamp collection. I just love the nativity sets. They bring such a sense of peace and remind me of what the season is really about! Oh, this is just so precious. Love the silhouette images and the dies. What gorgeous samples! I love to see stamps that capture the true meaning of Christmas. Great work, as always! These are beautiful. I am so happy you designed these. I borrowed a friends nativity set last year but it was no my style. Can’t wait and dies too. Love, Love, Love it all. Just beautiful! You have really caputred the true meaning of Christmas. Simply beautiful and breathtaking. Love all of these. These are such wonderful sets. They truly ring out with the true meaning of Christmas! Thank you! These are all just lovely – well done everyone! Wow, these are all stunning. I love all of the cards you created. This stamp set is a must have! Oh these are truly beautiful! I love the elegant look, I am so thrilled to see these, the “true” meaning, love them! All your projects are gorgeous. I wish I was so talented. Such beautiful card designs and stamps. 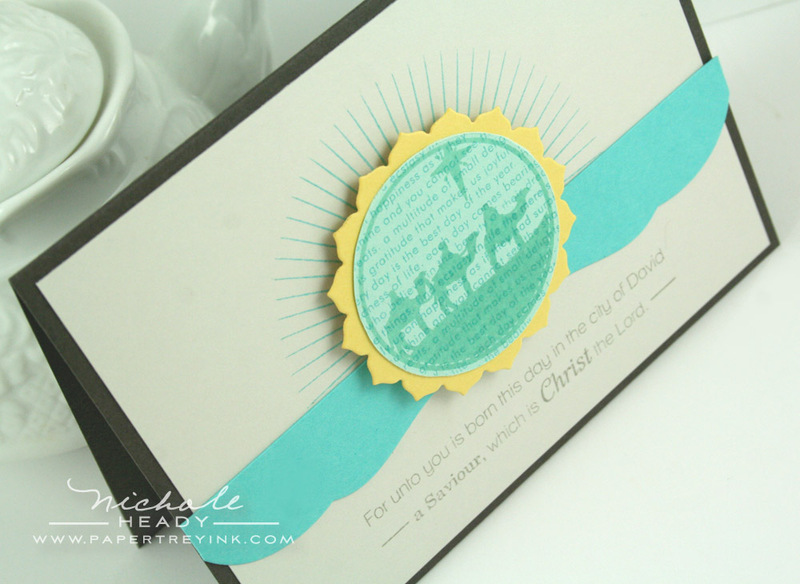 I am so pleased to see these nativity images and the coordinating dies. Thank you so much! Love the examples of these sets…and some of the “unconventional” color combinations!!! This so fills a void in my stamping collection. Thank you so much for a beautiful set with wonderful images and sentiments. They combine perfectly to make the kind of cards I want to send. PTI has really delivered with this set of stamps! 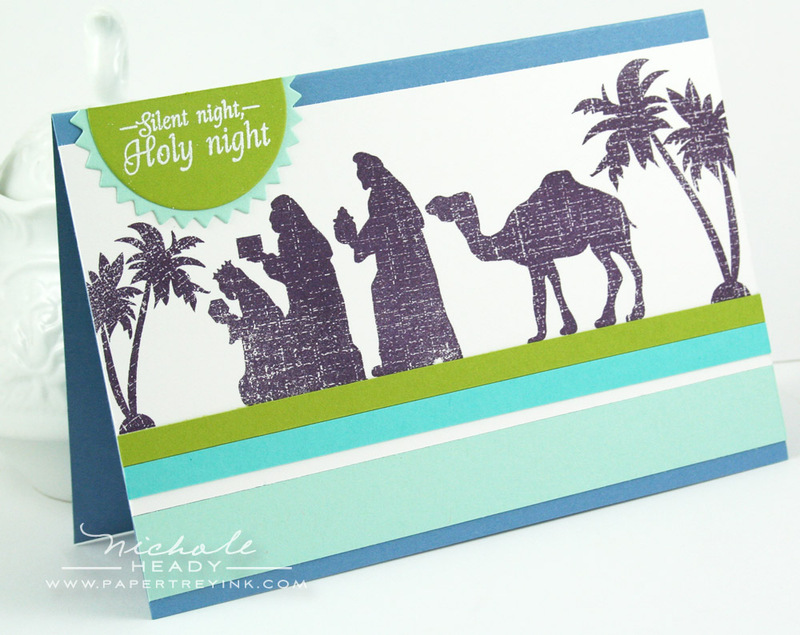 I love the nativity scene and all the projects made with the stamps! Great job! I love this “time of the month” and all of the new products and inspiration! These images are gorgeous. I love every single card you made. Simply stunning. My favorite sets so far. Not sure what time it is over there, but still want to say how much I love these cards! When Nichole announced in the sneak peek that customers had been asking for nativity stamps, I was so sure she meant me!! I’ve asked and dreamed and these stamps way exceed my best hopes. Wow! As much as I love the images, the sentiments just blow me away. Thank you, thank you, PTI, Dawn, and Tiffany. Wow, so elegant! And what a perfect stamp set for Christmas! Thanks for another great release! Gorgeous cards!! Gorgeous stamp sets!! Breath-taking! All of the nativity sets together would make a very nice collection with so much potential to get really creative. I’d been contemplating my Christmas cards for this year — now I can get exactly what I need with this release! Ah, true Christmas images – wonderful and much appreciated. very beautiful new set…lots of possibilities ! What beautiful sets! I love that inspiration photo of the nativity set candle trio – I can totally see stamping the images onto tissue paper then applying to some LED wax candles to recreate that candle trio for gifts! Absolutely Beautiful! I love the card made with the take three die. Brilliant idea! Faith based stamps are so hard to find and you have just hit it out of the park. So perfect! What a beautiful set of stamps and dies, with a lot of versatility, that express the true meaning of Christmas. Thank you. Such beautiful stamps and samples!! What an amazing showcase today! All the sets are wonderful and show the true meaning of Christmas! Of course the DT always show awesome creations! 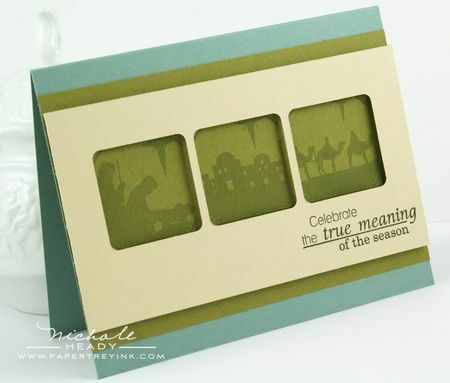 It is so nice to see such beautiful stamp sets that are about the true meaning of Christmas! Thanks for sharing such beautiful cards that really show the potential of these stamps. I’m eager to see more of Dawn’s set, I love the circle images that co-ordinate with the LL Dies! I feel I need a faith set to add to my arsenal! Thanks for all the inspiration! Wow… such beautiful stamps and great ideas for such a beautiful holiday. Great sets! When I make Cristmas cards I try to always include the fact that Christ came to save us and the holiday is about him. Thanks for making that a little easier. What a beautiful version of the Nativity! I am so happy to see the Nativity stamps! I have been hoping ya’ll would make a set like this! WOW! The Nativity Silhouettes set is truly special! It looks so versatile and I love the idea of being able to make spiritual projects so personal and customized – I can’t wait to see the whole set! Sure hope I win this one – more than any other! wow! what a great, “true meaning” of Christmas set this is. beautifully done and your samples are fab, too! thanks for a chance to win! Love how so many things interact together – possiblities are endless!! Love them!! wow, these are truly inspirational, I am always on the lookout for Christian sentiments and images for my Christmas cards and these are fantastic. My favourites at the moment are Star of Wonder and Nativity Silhouette additions. I may be placing an order very soon!!!!! I love all of your projects today. It’s so nice to see a stamp set that is faith based. Very beautiful set. I love the way the stamps were used and the sentiments are so perfect. I love nativity scenes…but I wasn’t sure if I’d like these stamps…after seeing your projects…I have definitely changed my mind. So versatile…you can go from an elegant feel to a rustic feel so easily. My favorite is the True Meaning of the Season card…love! Love it and would make a perfect card swap for all the ladies at church!! These new stamp sets are just perfect for me, here in P.R. we mostly celebrate “El Dia de Los Reyes” wich is the the day that the kings gave baby Jesus the three gifts and celebrated His arival!!! I’m so happy for this months realese! These stamps are beautiful and you used them so creatively in your card designs. It’s what Christmas is all about. Love the Nativity and Star of Wonder! Beautiful sets by both gals. Your cards are absolutely lovely. I really like the religion inspired stamp sets. Great job!!! I LOVE your first card – the sunburst behind baby Jesus in the manger is fabulous! I really love all of the Nativity images today! They truly warm my heart! Great cards, Nichole! I love your interesting color choices! I’m loving this release so far! These two sets are perfect for my collection — I have NO religious stamps at all. I would love to win them because I think I will probably only be able to buy one and I’m not sure which I want more! Fantastic Nativity set and dies – awesome samples, another great release! What beautiful cards and much needed sets! They fill a huge void in my stamping arsenal. They are designed with class, inspiration, and beauty! I absolutely LOVE that these stamps and dies bring back the true meaning of Christmas!! I LOVE the scarlet jewel card with gold accents, and the window cards are fabulous too! Gorgeous!!! What a wonderful release this month. I love getting back to the true meaning of Christmas!! 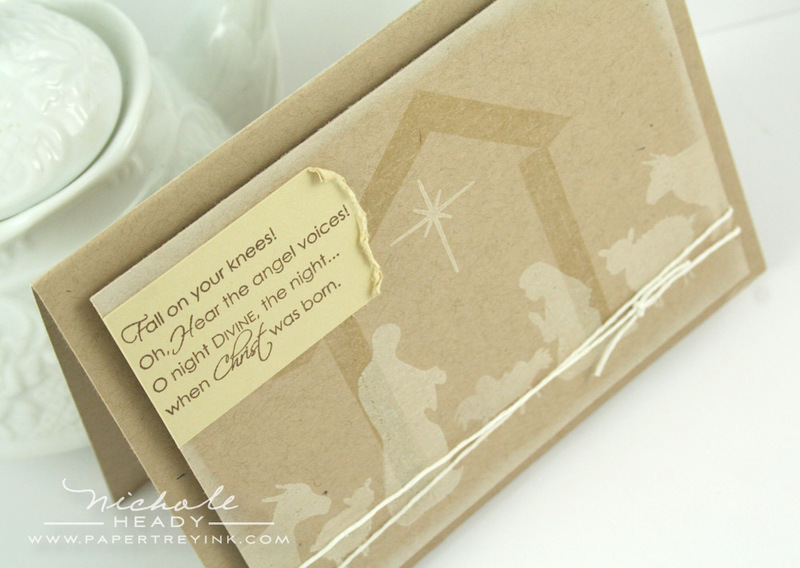 Soft and sweet are these Christmas nativity cards. Love the various effects you have used to frame and feature the true message of Christmas. Thank you. Beautiful projects! I just love all the creative posibilities of silhouette images as well as the dies! I can see this as a great give for my mother for Christmas- she would love the silhouette set! These are wonderful. I love getting back to the true meaning of Christmas! I am so touched by these sets, the sentiments are so beautiful and the images are so elegant! I know I will be using them for my Christmas cards this year! All of these sets are beautiful and I love how they are used together. I haven’t seen anything else like this from other companies and I’m thrilled to be able to get them from PTI! Love, love, love!! Dawn’s work is always fabulous, and these are elegant and beautiful. Stunning cards…. I am so excited about these sets! Can’t wait to purchase them and use them for Christmas cards!! Thanks PTI! Such a lovely set! I love to send religious Christmas cards and this set surely gives a lot of options! Beautiful! Love seeing stamps sets that reflect the real reason for celebrating Christmas. Thanks PTI! So happy to see true CHRISTmas stamps! It is the reason that my family celebrates the season, so it will be great to make cards for them with these new sets. These are the sets I want most of all. These are the kinds of Christmas cards I want to send out. Can’t WAIT to buy these!!!! These are the BEST Christmas images and sentiments ever put together! LOVE it! beautiful sets! faith-based sets are hard to find and i’m so happy that PTI took Tiffany’s amazing design to life. your cards are beautiful yet again Nichole. Beautiful! The cards are stunning…brings homemade Christmas cards to a whole new level! Such beautiful cards! I love how the sets are so easily adapted to different styles. Such lovely projects using these new stamp sets! I love all of the fun color combos you introduced! Thank you for making beautiful things and for this Giveaway! Love this set, it is so inspiring! Love the sayings, love the pictures! nativities are my favorite thing! I am so excited to see these faith-based sentiments! I also am happy to see a more “clean and simple” approach to the nativity scene… I think the silhouettes are great! Beautiful set for the holidays–thank you!! I love these Christmas stamps with sentiments about the true meaning of Christmas. So excited for the release! 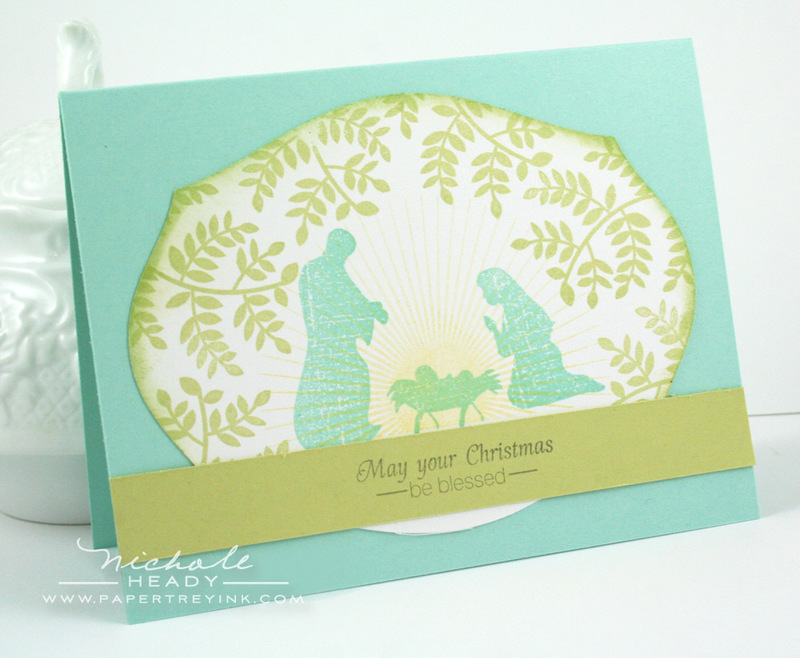 Wonderful dies and stamps to celebrate Christ’s birth! Love your artwork showcasing these them! Thanks for giving your customers what they request! 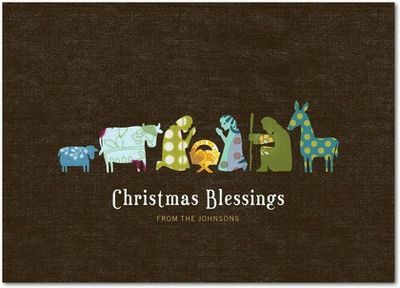 So excited for the stamps…Awesome Christmas set…..Fabulous cards. Oh WOW! These are absolutely beautiful! And thanks for all the gorgeous cards too! There’s nothing so lovely and simple as a nativity on a card or project! These are exceptional! Absolutely beautiful sets for celebrating what the season is truly about. I love all of them – the Glory to God card is stunning! Oh wow…I NEED these stamp sets!! I love Silhouetted Nativity stamps…and I just love the Biblical based sentiments that you have provided to go along with them!! I love that you are bringing out some sets that celebrate the true meaning of the season!! LOVE,LOVE,LOVE, Christmas sets that reflect the true meaning of the season! Wow! What a beautiful stamp set. I love your cards showcasing this set today. This faith-based set will fill a hole in my Christmas stamp collection! Beautiful cards–truly the true meaning of Christmas. Thanks for sharing all these wonderful ideas. Can’t wait to order. Love the stamps and the beautiful cards. Beautiful creations! I adore the rustic Christmas card! You have done such a marvelous job showcasing these new sets that everyone is going to want to buy them all! These faith based Christmas cards are just gorgeous! They really put me in the mood for the Christmas season. So many great Christmas card ideas! I would love the case the card with the take three dies and star of wonder stamps. I love all of the cute Christmas sets and especially the Christ centered stamps and dies. I went through and looked and my first comment does not appear to have posted…it didn’t have me enter a code so I am not sure what happened….anyway I love these new sets and your beautiful cards Nichole! I am in love with the background star image. I can see using this image in so many ways – as candle glow behind a cake image or a cupcake with candles and as angel glow behind the new angel in the Love Lives Here Christmas set. I love that these stamps allow me to make a beautiful but simple to mass produce Christmas card with the true meaning of the season! Great sentiments to go with them too! Thanks PTI team! Beautiful projects! Love the images and your color combos! So many people have already commented on their excitement for the faith based sets, but I am going to have to do so as well. I finally got a set last year with sentiments to fit the season, but no images. Now I can have images to go with! So awesome!! And these sets look amazing and you’ve shown so many possiblilities. Beautiful, beautiful! I just love each of them! You’ve blessed us with the true meaning of the season with these sets and dies. Your cards are just heavenly with super color choices. Spring Moss and Aqua Mist are becoming a favorite color combo. Your subtle backgrounds tie everything together! This stamp set is absolutley outstanding. I love the many ways this set can be used. I am also loving all of the die cuts that you have been showing. I love the religious/faith Christmas stamps and sentiments. This is the one time of year when the focus can be on our faith so let’s celebrate it! I just love the true meaning card. Yet an other great set. Such beautiful timeless cards you design, and such great stamps! 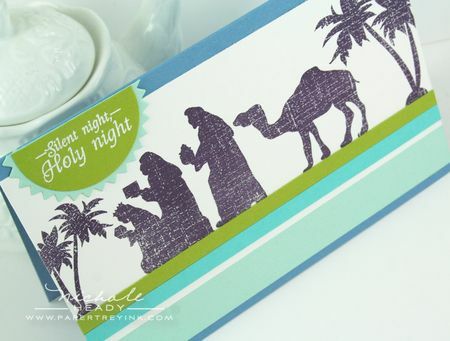 Love the Nativity Silhouettes for cards, or even larger decor design! These sets are so subtle and beautiful, I can’t wait to start stamping! You did a really nice job on your cards today. I like the colors you used. I like the sunburst and like the Take Three card. All very pretty. Wow, stunning cards, wonderful stamps too. Uh oh – I’m in trouble this month! The Nativity set is looking very promising!! These are amazing.. I just love them they are so beautiful! This is a stunning set. It love the images and they will look great on my cards. Love, love, love the nativitiy sets. The capture the true meaning of Christmas! So elegant and beautifully done. Thanks for the great inspiration! Wow, these stamp sets really capture the true meaning of Christmas! Love the amazing cards! I love the 3 box die that reveals the scene. Gorgeous!! Beautiful projects and beautiful stamp sets. I don’t see very many stamp sets that address the religious side of Christmas. Most have to do with Christmas trees, Santa, Snowmen and reindeer. These sets are a nice change of pace. Finally some christian motifs. Thank you. They are a must-have for me. The “christ was born” card is the favorite to be “my” christmas card this year. These images are beautiful! I love all of them. These are all stunning, Glory to God, and When Christ Was Born really stood out to me. Love these stamp sets. These are so beautiful! Thank you for creating something gorgeous and different! I’ve been waiting patiently for a nativity stamp set. Your cards are simple and elegant at the same time. Gorgeous! Thank you so much for the chance to win! I am head over heels for both Nativity Silhouettes & Star of Wonder. I thought I was all done purchasing the Christmas stamps. I’ll have to rethink that! Beautiful cards for the Christmas season. Simply beautiful! A must for any stamper who wishes to convey the true meaning of Christmas. I’m loving the dies for making those silhouettes for candles. I am SO glad to see stamps & dies with the TRUE meaning of Christmas…AND such exquisite ones as these!!! Just a phenominal design!!! Thank You!!! Absolutely breath taking. This stamp set shows what Christmas is all about. Thank you!! I’m so excited about all these biblical stamps! I really love the Glory to Be card. Using the Mehndi Medallion set on it was brilliant! Wow, beautiful creations! Love it! These sets are so inspiring…..and just in time for my Christmas projects! I absolutely adore the Nativity Silhouettes! How aamazingly beautiful and humbling! The Glory to God in the Highest is my favorite card. I love it! Finally, finally, finally a real Christmas set. Jesus and Christ are finally mentioned and given their rightful place. I can’t say enough thank yous. This has been long in coming. perfect for me!! This is the real reason for the season… Thanks so much!! Getting us in the spirit for the upcoming season…very nice! Beautiful cards! I just love the starburst! Can’t wait for the 15th! I am in awe of the Christ centered images and sentiments. I have tons of Christmas stamps and very few are what the reason for the Christmas season is all about. Thanks again for all of your new inspiring stamps and dies. What beautiful images and heartfelt sentiments. The dies make me want these newest stamp sets even more for they add ease of use. Wow, what a beautiful set! It fills a very large hole in my stamp collection, what amazing images! Thank you for the gorgeous projects too, always so impressive. These are my favorite Christmas sets yet! Love the more religious theme! Great work on the font choice and the images are lovely! Love the distressed look! Loved the cards. The sets capture the true meaning of Christmas. Wow, everything is simply breathtaking. What beautiful reminders of what Christmas really means. Wow, these projects are all incredible, Nicole! I am blown away by how beautiful these Silhouette Stamps are and how versatile your designs are. Thank you so much for the wonderful inspiration. oh, I LOVE these sets! I love having a new Christmas set each year. The nativity is perfect for what I want to make. Gorgeous! I really love the nativity silhouettes…used to, not a house at Christmas that did not have a nativity scene…this really brings fond memories back too! These are beautiful sets of stamps and dies – I love that we have the opportunity to make modern cards with a traditional message. 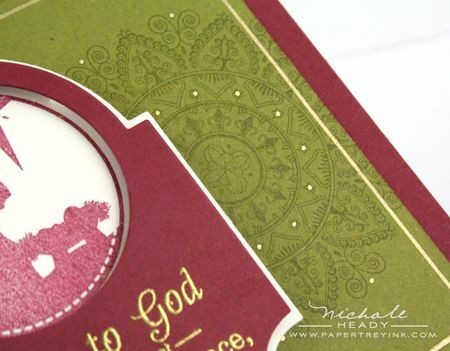 Papertrey has truly created a beautiful stamp set to celebrate the spiritual side of Christmas. This is gorgeous and inspiring. These sets are so classic and elegant! I’m loving the sentiment choices too. oh wow! I LOVE the tone-on-tone kraft card! so beautiful! Thank you so much for these sets! As much as I like santa, snowmen and reindeer, it is nice to see stamps highlighting the religous side of Christmas. Lovely cards today, the kraft one really caught my eye! Awesome sets! I want them ALL! Beautiful cards and great stamps as always! How glorious are all of the nativity items. Lovely. Can’t wait to get ’em and use ’em this Christmas season!! Hooray!! I love these faith based Christmas cards. The Christ is left out of Christmas way to often. Thanks for these beautiful sets and the samples you’ve created. I love the nativity stamps. So beautiful. The cards you made are stunning. These sets are beautiful. I love the When Christ was Born card. Thank you for an amazing release. Beautiful nativity set and the cards are just lovely. I like how they are shadow stamps, makes a great card without having to color all the images. Wow, my goodness WOW! Those cards are beautiful!! I am not a big fan of silhouette images for stamps, but these completely won my heart! The nativity scene is just beautiful and they “tell” the story. Just amazing. Thank you for another fantastic release! These cards are fabby! I am really glad PTI has faith-based stamps. Love the nativity sets. The cards are amazing! The cards are stunning! I am very pleased to see these stamp sets. The silhouette images are beautiful. I’m excited to see the coordinating sentiments. I love the fonts Papertrey uses…so pretty and classic. Love the new Star of Wonder stamps and dies. It is always wonderful to have great supplies when making Christmas cards and I always love to share my faith with my cards. Your post asks if anything caught our eye – well, YES! All the sets you showcased today will be coming to my house, sooner or later. Thanks for all the inspiration! These Nativity images are just so pretty. I have 2 Nativity sets that I put up every Christmas. I just love them. The sentiments included in the sets are really great, too. Thanks for sharing all of your great ideas! wonderful Star of Wonder and Nativity sets – can’t wait to use them!! These are all such beautiful stamp sets, and the cards you created are gorgeous. Your creativity just amazes me! I’m really loving these new stamp sets! Finally- I can make some great Christmas cards with a faith base! I love the versatility of the silhouettes as well- so many different creative options! On the “Rich and Opulent” card rich is an understatement! This is one of the nicest Christmas cards I have ever seen. It really puts the focus on where Christmas should be…centered around Christ. Thanks so much for sharing. I wasn’t going to buy any Christmas stamps this year because I have so many from last and then you do this to me. Oh well, there’s no such thing as too many Christmas stamps. What amazing sets to showcase the true meaning of Christmas!! Your projects are gorgeous!! Think I may be a little partial to the Star of Wonder set with the Take Three Die! I make Christmas cards for each family in my church so these sets will work great for that, I love being able to share my faith with my fellow Christians. I wish I had these now because I am going to a retreat this weekend and plan to work on Christmas cards. Wow! Just love this set. It reminds me of the true spirit of Christmas. Love it! love the kraft and white sample! I love these sets of faith-based stamps, they really convey the true meaning of Christmas. Beautiful AND meaningful! I love these Christ-centred Christmas cards and would love using these sets to make my own. While Santa and snowmen are cute, they don’t quite sit right with a sunny Aussie Christmas! Nichole, these cards are BEAUTIFUL! I’m so excited about the new faith-based stamp sets. They’re so hard to find!! 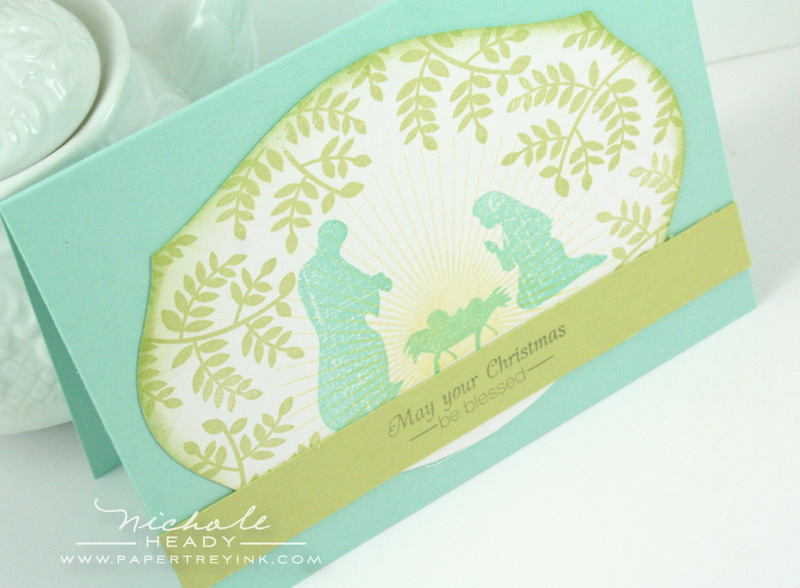 Love, love, love this set….I can’t wait to use it this year to spread Christmas joy! Love both of these sets – just what I have been waiting for! PTI nativities!!! Great stamps for the Holiday season. These examples are fantastic and inspiring! Loving the nativity set! What beautiful stamp sets! I love that they express the true meaning of Christmas. Thanks. such beautiful sets being released! These images are just truly love and representative of the true meaning of Christmas. I love the sample and how simply and easy they will be to mass produce. Absolutely stunning cards once again. I love all the biblical/faith stamps that PTI has been producing lately, too. I’ve always loved nativity scenes. Last Christmas, I was so excited to finally start my own collection. These stamp sets are beautiful. I especially love Star of Wonder. Lovely to have a selection of beautiful sets about the true meaning of Christmas. Your cards are all so gorgeous and inspiring. Thanks for the inspiration and for the chance to win this awesome prize. I love that this has been done and so beautifully. Love that. I love the beautiful silhouette images! Thankyou for the opportunity to win! What beautiful sets… what a great concept. You’re making a lot of people very happy! Lovely Christmas set that has every nativity image we could wish for. There is so much potential to share the real meaning of Christmas through using these stamps. Well done! These sets are so inspiring! I love that they are faith based and so clearly well thought out. Thank you for creating this line! Truly love them all! Wow..both of these sets are amazing. What a great way to celebrate the meaning of Christmas. Oh Man…….I was going to “cut down” my order this month, but there is no way I can do that now 🙂 Thank you for the faith filled cards!!!!! I love these sets. They are so beautiful! and your cards are fabulous. Love the beautiful faith based stamp sets. It truly captures the true meaning of Christmas. The dies also take it to another level. Love your projects today. My favorite is the scarlet jewel card. Love the traditional colors. Fabulous cards and new stamp sets! what a great nativity stamp set!!! Can’t wait to get my hands on it! I love when I receive Christmas cards which reflect the true meaning of the season. 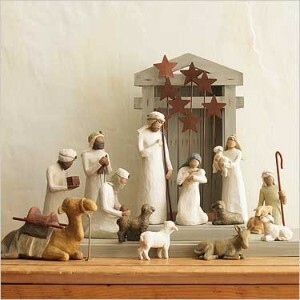 Your Star of Wonder and Nativity Silhouette sets are perfect! Beautiful cards. They are so inspirational and just what I need in my stamping collection. Wonderful cards! Your amazing inspiration is endless! Can’t wait to see them all! I love these beautiful stamps! Thanks so much! wonderful, some stamps to show our faith not on pc way. You go girls. I have been waiting for a Nativity set and these images are beautiful! Your cards are stunning and my favorite is the rustic one! I love the sentiments and verses with these sets. I really like the rustic card. Who would think something so simple (and rustic) could still come across as elegant. Once again your inspiration is amazing. Thanks for the chance to win! Thanks for the beautiful card samples. They represent Christmas the way it shuold be. I apprecite a company that has stamps that have a religious theme. They are so hard to find anymore. One word to describe the cards today, SWEET! I was hoping for a PTI Nativity set this release, and I have been rewarded twice. Great job with these sets Tiffany and Dawn! Love all of your cards. Nice to remember the true meaning of Christmas. I adore all the card made with Star of Wonder–I’m buying it even though I have tons of Christmas stamps–I NEED this one! Thank you so much for creating it! This is by far the best manger set I’ve ever seen! Working for a church, as much as I love the Santa sets, I will be making lots of true meaning cards this year and this is my set of choice! This is one of the most beautiful stamp sets I’ve ever seen. Oh, this will be a delight to use. Thank you for making a stamp set that conveys the true meaning of Christmas. Such amazing stamps & beautiful projects! Thank you so much for Christmas stamps that focus on Jesus’ birth!!! I really like the nativity stamps. The projects are beautiful. 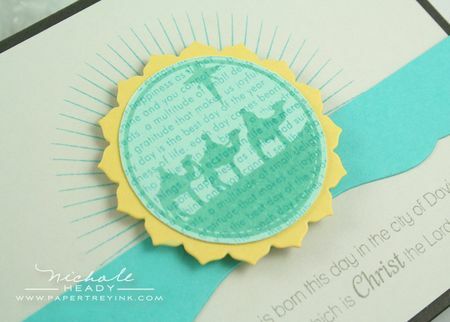 Love the nativity themed Christmas stamp sets…thanks. Love both of these sets, especially Star of Wonder. I have been waiting for years for a perfect Christmas set that is both beautiful, simple and true to the meaning of the season. beautiful cards displaying the new stamp sets! another great month from pti. as always, thanks for all the inspiration and creativity. Oh my……how I love these awesome stamps!!!! It really tells you the “true” meaning of Christmas! Thank you Nicole for sharing this all with us! I love the spiritual themes! Can’t wait to see Dawn’s set more fully and am looking forward to the nativity dies. I am enjoying the silhouettes very much. A little to close to Christmas for me though, mine are already in production (PTI mind you). Am loving all the words too. More inspirations for christmas! Beautiful set. I think it is so amazing the way PTI listens to it’s customers and comes up with stamp sets to match our requests! This is the perfect example. What an amazing nativity set. I don’t know which I love more, the Nativity set or Star of David? Who am I kidding, I love them both!!! Oh wow, I love the scenery you can make with these! Thank you! Thank you!! Thank you!!! I am always looking for Christ centered stamps. I truly am excited about these! All the projects are beautiful. WOW WOW WOW!!!! I’m super excited for all these images & dies!!! Just what I’ve been dreaming of!!! I love the use of the Silhouette Stamps with the Take Three die. I want to commend you on the effort you give to have well rounded stamp collections. I don’t think there is one person that goes to your website that can’t find something that they can connect with, appreciate, and enjoy. Well done everyone! Just in time for holidays! christmas is so near, and all the new stamps are so gorgeous to make our cardmaking work so easy, and with professional look. hallmark is in trouble! Great samples using the new sets. Each designer has their own unique take on the meaning of Christmas. Wow! I love Star of Wonder! That would make beautiful tags on Christmas gifts! It is wonderful to have Christmas stamps that have Christ be part of the message. Thanks! Star of Wonder is very pretty. Love your last design. The teals and charcoals (blacks)/grays are striking, but clean! I’ve been waiting for someone to come out with nativity stamps that are classic, simple and beautiful. Well done…..and thank you! OMGosh! These new images are all so elegant! I love them all! I love the religious stamp sets. The die will make this so much easier too. This is what Christmas is all about. Great additions! I am so excited for these products. I have been waiting for a nativity and faith based Christmas stamps. Yay Papertrey! I knew you would come through for me!! Your cards are amazing, love the Nativity Silhouettes set! Love it all…images and sentiments! It’s so wonderful to find Christ-centered stamps. I love the color combination in the Glory to God card you created! 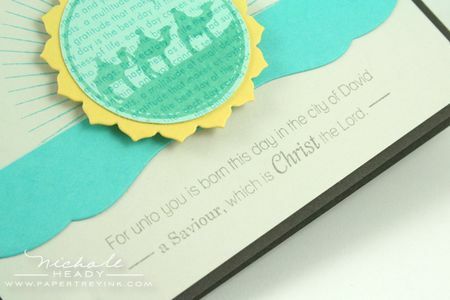 Love, love, LOVE the faith-based stamp sets – so beautiful! Oh my goodness! I LOVE the messages and images – they are so moving!! Truly Beautiful. I love the nativity images created here. They are really beautiful and remind me of the true reason for season. The variety of samples you have how you can be out-the-box with color and layout. Very nice! I can’t believe we’re almost at that time of year again! It always seems to sneak up on me! Great sets for Christmas and the cards are beautiful! I love the Nativity images, and it’s nice to have dies to match. Love the nativity images. Beautiful cards! Nativity scenes are the only kind of CHRISTmas card I like to make, and I decorate my house with various nativity sets. I even have the first one you pictured at the top of the post! I am so happy to see these wonderful Christ centered stamp sets coming out this year! I would be so completely THRILLED to win today’s prize! beautiful and spiritual creations with these new stamps! Stunning, as always! You are all amazing! These Christmas sets are so beautiful and meaningful. I’ve been hoping for a nativity set and both of these are wonderful. These are beautiful and are a terrific way to share the true meaning of Christmas. These sets (and cards 🙂 ) are truly beautiful. I have been searching for the perfect sets to highlight the tree meaning of Christmas, and everything I had seen up until now was just “not quite right”. I’m so thrilled. These sets are perfect. Thank you, thank you! I’ll definitely be purchasing these. Beautiful images. I especially love the kraft card with the simple stable. I am always inspired when I look at your creations. These are such lovely stamps. I am amazed at the wide range of card styles mde with them. That sunburst image is so versatile. Thanks for the inspiration and giveaway! Love how you used the Take Three die with this set, a beautiful card. Love the silhouette effect for the nativity scenes, a lovely way to show the real meaning of Christmas. Thank you for this set, much needed. I love what you have created with these sets. Just so simple and elegant. Beautiful images – I’d love to try to create a cut-out nativity scene with these stamps like those I used to create from those cut-out books I loved when I was a child. 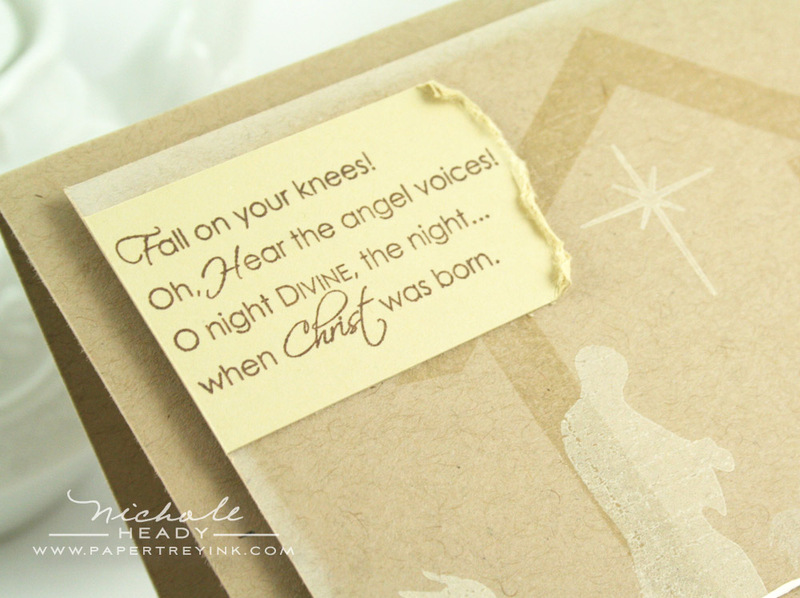 I love the sentiment stamp from “O Holy Night” – that is my favorite Christmas song! Thank you for these beautiful sets! These are great stamps that do show the true meaning of Christmas. WOW. I absolutely love this set. And Lisa’s Xmas card at the top is the most beautiful EVER!! “O Holy Night” is my favorite Christmas song…EVER! If anyone is interested Jessica Simpson does an amazing rendition of it – just saying. What a beautiful stamp set! It really is lovely. I’ve scene religious Christmas stamp sets before, but this is the first one I love!! I love the nativity set and accessories! I am so glad that you always include faith based stamps. I collect nativity figurine sets and I am always on the lookout for nativity stamp sets. I really like this set especially with the dies. Just lovely, & I too appreciate the Christian-based stamps that are available, giving me a choice. Thank you sooo much for the inspiration! I love all the sets! I can’t wait for the release day. OMGosh! These are truly amazing. Absolutely lovely images and dies just perfect to showcase the true meaning of Christmas. LOVE the Kraft card. Simple yet has such an impact. I am getting so inspired right now. Another lovely and beautiful collection of images and dies. So glad to see commercial businesses getting back to the real meaning of the holiday! Beautiful! Nichole, I LOVE that card w/ the three windows! And the words from one of my fave Christmas carols, O Holy Night…perfect! The silhoutee set is so pretty with the candle holders. Just makes you feel so warm and cozy. Love all these Beautiful Cards! And the dies are going to help so much when I make all my Christmas cards! Thanks for all the thought that went into making these! Hi these are beautiful how can I order them?